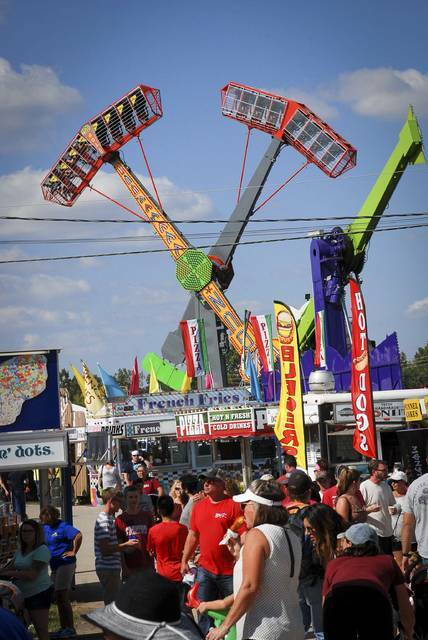 The weather forecast for the week has been favorable and the 2017 Delaware County Fair has welcomed large crowds everyday. 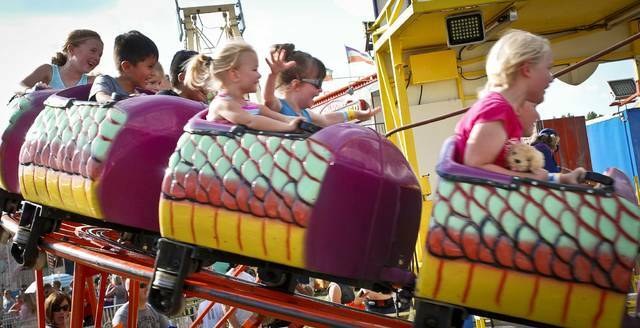 The Dragon Wagon has a long line of small children waiting to ride. Once they’re strapped in and the ride begins, the smiles on their faces prove it was worth the wait. 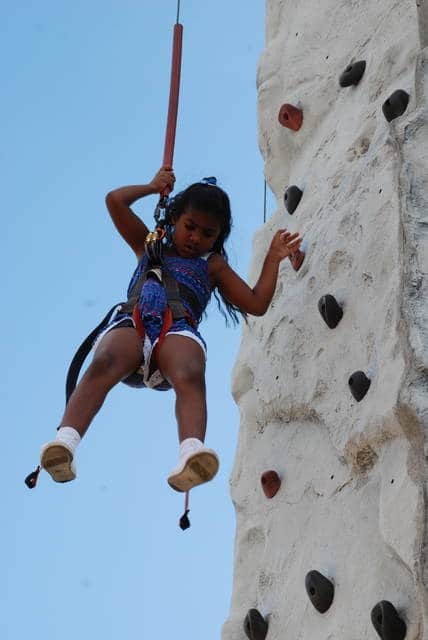 Deciding that it was high enough for her, Alannah Call, came back down the climbing wall on the midway at the Delaware County Fair. 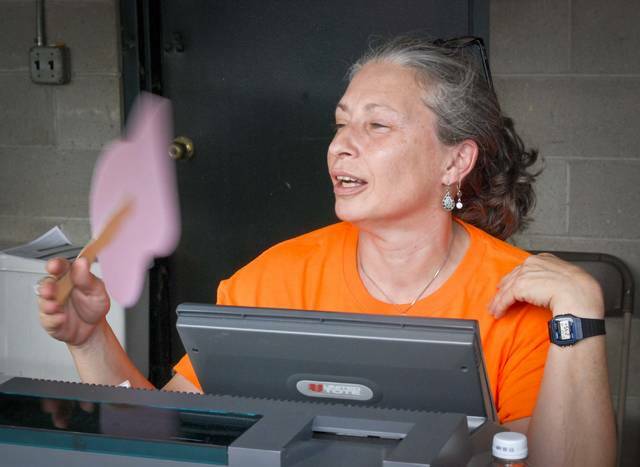 Melissa Ackerman said she served a steady flow of people Wednesday at her ticket booth. 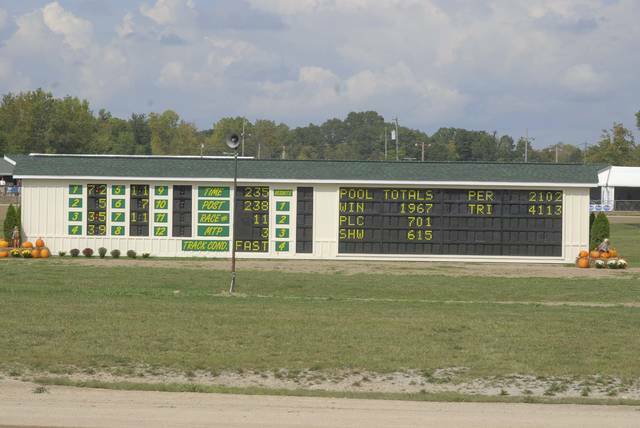 Chris and Monica Ducic said they have been coming to the Little Brown Jug every year from Texas for 41 years. 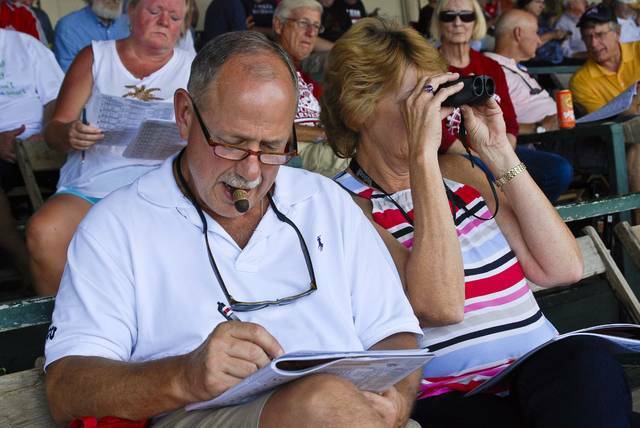 Chris was looking over the race schedule for a good bet while Monica took a closer look at the horses. 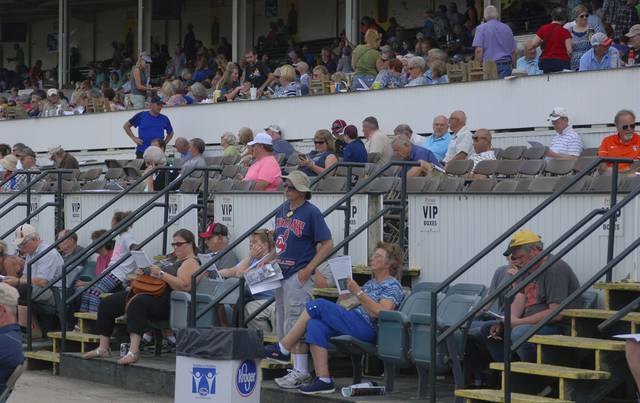 The crowd in the grandstand at the horse track was considerably larger Wednesday compared to Tuesday’s crowd. Rain seemed to keep fans away on Tuesday. 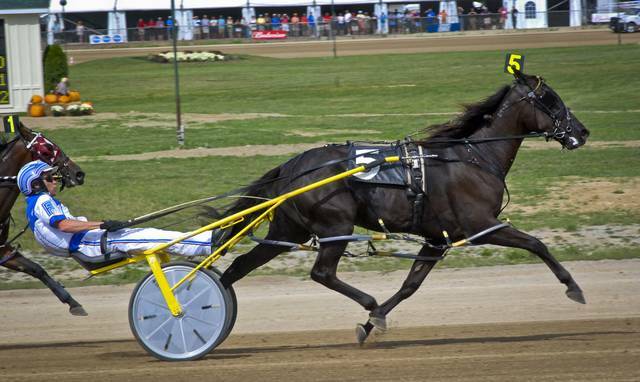 This horse and its driver warm up in front of the grandstand before a race on Wednesday. 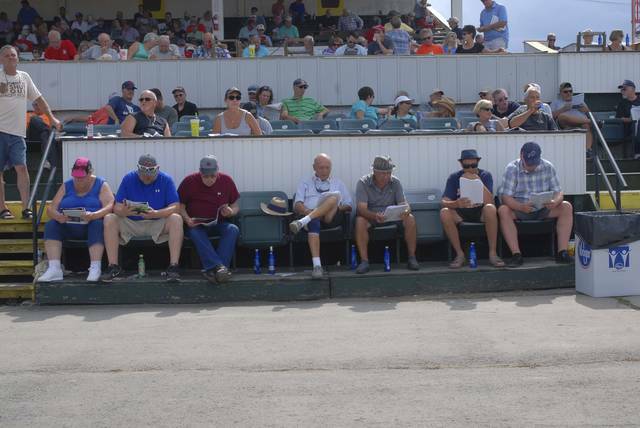 Sitting at ground level next to the finish line allows the crowd to get a great view of the horses finishing their runs. After the finish of each race, all eyes are on the scoreboard to see the official results. 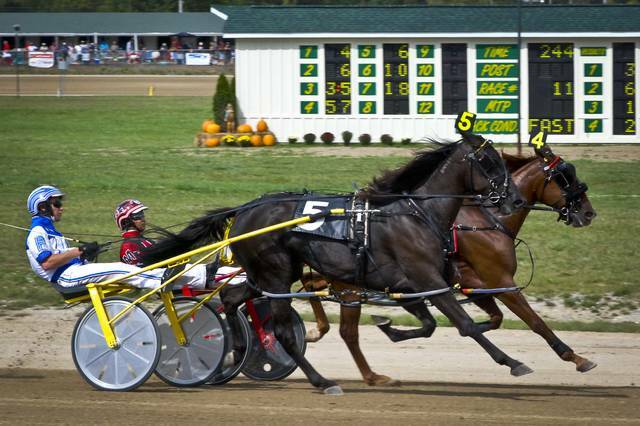 Vying for first place, drivers guide their horse around the Little Brown Jug course Wednesday. 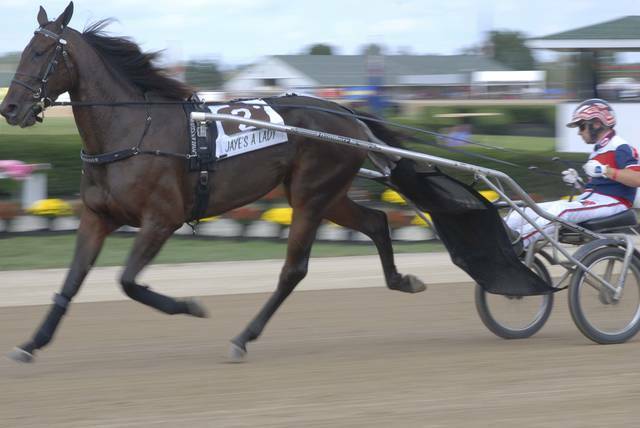 Breaks for Tamar Moniz come during the harness races. She said her booth wasn’t the lucky one for anyone. 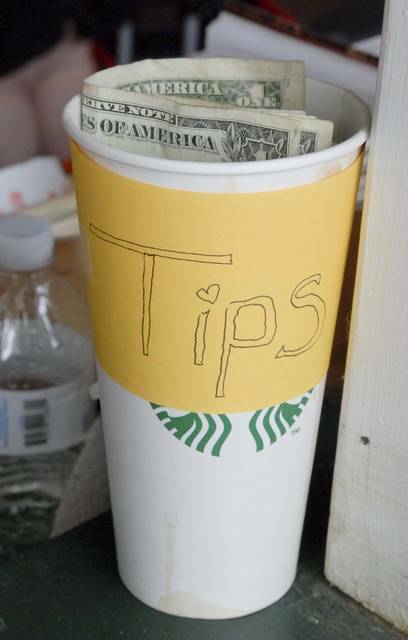 People sitting in a hot betting booth all day do deserve tips. 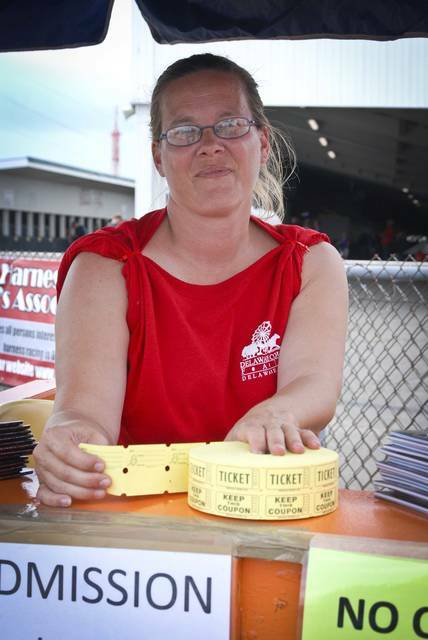 Leekay Bennett is an independent contracter whose job is to provide directions for people at the fairgrounds. 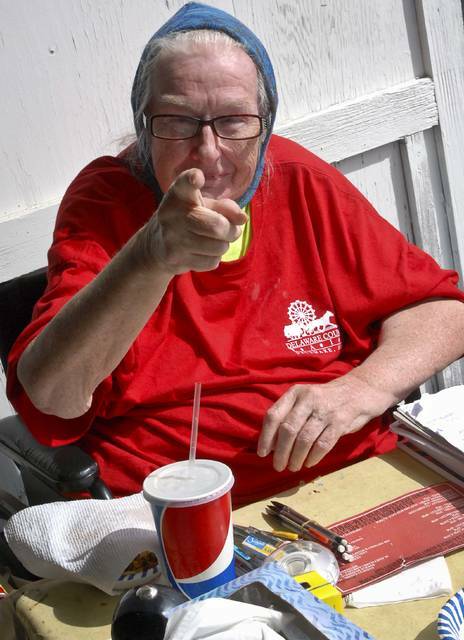 She said she has worked at the fair since 1979. 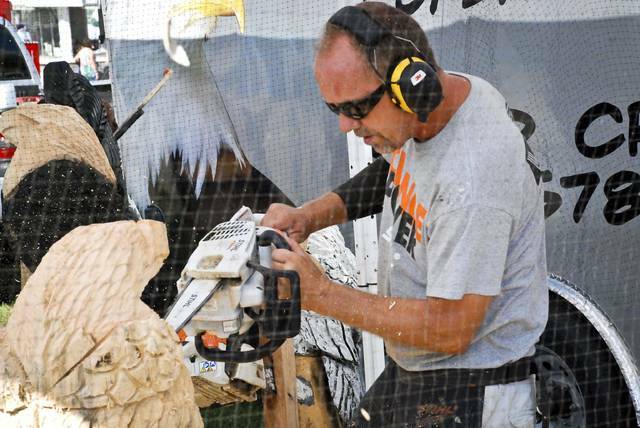 Showing off his incredible skills as a chainsaw sculptor, David Crego usually has a crowd of people standing around watching him.